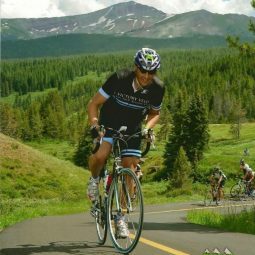 During the summer of 2015, Guillermo Velasco was in the prime of his training for his 4th Triple Bypass Race – Colorado’s annual bucket-list bike race for cyclists from across the nation which covers 120 miles, over 10,000 vertical feet of climbing and takes racers from Evergreen to Vail over Juniper, Loveland, and Vail passes. On June 20th, he began a training ride that had him breaking personal records and excited to continue his ride into Idaho Springs. As he looked for a place to refill his water bottles, his back tire slipped on gravel and he came crashing down onto his right hip. When he tried to walk off the pain, he realized that it was too intense and he would need to call 911. After being picked up by paramedics, Guillermo was transported to St. Anthony’s Hospital in Lakewood where he met Dr. Ed Rowland, one of Panorama’s trauma specialists, who told him he had broken the head of his femur from the rest of his bone and needed surgery as soon as possible. After surgery Guillermo was non-weight bearing for more than a month to let the bone heal. Finally, he began physical therapy with Brittney and Jessie at Panorama’s physical therapy location at The Institute in Highlands Ranch. Guillermo became quite at regular, visiting three times per week. During his PT, he set a goal for himself to be training on the turf with the athletes he could see working out through the windows of the PT office. Eventually, Brittney began taking Guillermo to the turf to start training with some of the more advanced equipment. Unfortunately, by the time October began, Brittney noticed that Guillermo was not making enough progress and sent him back to Dr. Rowland. Dr. Rowland was sent Guillermo to see Dr. Nimesh Patel who is a total joint specialist at Panorama. After consulting with Dr. Patel, Guillermo decided to have a total hip replacement. He was back in surgery on December, 18th – so happy to be moving forward, Guillermo says “I am grateful he was able to accommodate me so quickly and schedule this surgery before year end.” Following his joint replacement, Guillermo once again began PT with Brittney and Jessie, but this time he progressed much faster. By mid-May, he was released from PT – happy to be done but sad to miss seeing his therapists as often. Guillermo then took every opportunity to get back on his bike and back in shape but he kept thinking of The Institute gym. In August of 2016, Guillermo talked to Brittney and was placed into the new Return to Activity or PRO-Formance program at The Institute. This program integrates every service that Panorama offers to help patients return to their activities by connecting the therapists and doctors with the personal trainers at The Institute to help build them back up better and stronger than before. 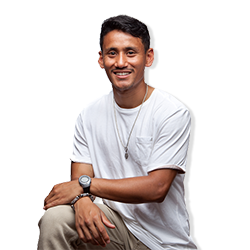 Guillermo trained with Mandy Parker at The Institute for many months one-on-one until, after many hours of hard work and dedication on behalf of Mandy and Guillermo, he was able to join the regular strength and conditioning classes. Guillermo credits the Return to Activity program and Mandy for getting him much stronger than he had ever been – even prepared to maintain his strength and conditioning to support other injuries he once had. Today, Guillermo is a regular attendee at The Institute and his progress has even inspired his wife to join. ”Today, I am happy that I am skiing and biking as if this surgery never happened and I feel more fit and stronger than ever … I cannot wait to see how my evolution continues with the help of Mandy and all the great coaches of the Institute. Andy Kuritz was on a 16 mile trail run when he first noticed his hip was getting tight and painful. You see, Andy was training for the Boston marathon, a race he was running for charity in honor of his Father who had passed from Multiple Sclerosis the year before. A few hours later his hip started to become even more painful. By the evening it was worse. The next day, the pain was excruciating. 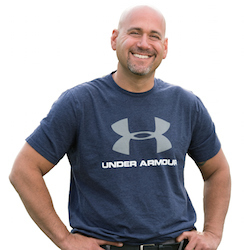 Andy’s story of a torn labrum in the hip is a common one. For people with this type of injury – on average, patients see 3 – 4 medical providers to get a diagnosis of a labral tear in the hip. When he returned home to Denver, he saw another doctor who identified the torn labrum in Andy’s MRI that was initially missed by the radiologist who read his MRI. After consulting with this doctor, it was suggested that he proceed with a reconstruction of his labrum, a process that sometimes can take nine months to a year to get back to running. Through a family member he found Dr Ellman and he came to Panorama for a second opinion. Dr Ellman is conservative in the operating room, yet aggressive with rehabilitation. He said, “A labral reconstruction is not necessary at this point and a labral repair is a great place to start. He compared it to a tire – Just because you have a flat tire you don’t buy a brand new tire. Let’s fix it.” Andy wanted to get back to running quickly, so this seemed like a good option. Andy went through with the surgery to repair the labrum in his hip on August 30 – Everything went well. He started physical therapy three days later – and that continued for 3 and ½ months. His goal was to be running again by December 26 as he was planning to run the Boston marathon again in April and he needed to start his 16 week training program. So, that he did. Andy never missed even one of his 64 training runs, as he trained 4 days a week, and he had no problems. 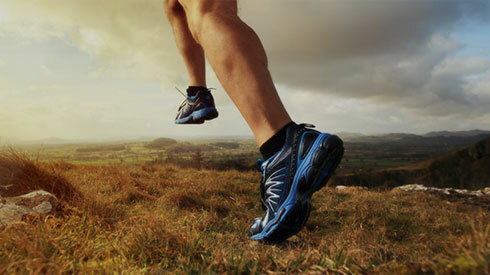 “I started running 3 ½ months after surgery and started marathon training 4 months after surgery. This year I ran the Boston marathon for a different charity – Cops for Kids with Cancer. This was 7 ½ months after surgery and I felt physically great! On July 6, 1998 Wilbur did what he had done many times before. He climbed to the top of the bin to close the lid. A rainstorm was coming and the moisture would ruin his wheat. Holloway hoisted the huge metal lid precisely at the moment that a wind gust ripped across his farm, whooshing under the lid and knocking him a staggering 43.5 feet to the ground. He broke his left femur, three vertebrae in his lower back, both legs below the knees and every bone in his right foot. Both rotator cuffs were torn and he had a severe concussion. He was immediately put on a flight to Denver. In the hands of several Panorama Orthopedic trauma surgeons, Mr Holloway underwent a number of surgeries while his neighbors looked after his crop and his three teenage sons. “We were told that half of all people who fall 15 feet die, yet here was Wilburn who fell three times that distance.” Dr. Desai said it was the most complicated case he had ever seen, recounts Wilburn’s wife Harriett. 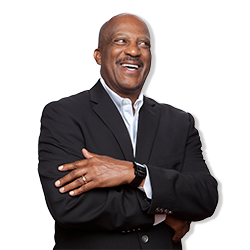 All total Wilburn has now had 22 surgeries in 17 years on his feet, ankles, legs, back and shoulders. “Today, you wouldn’t know anything is wrong with him, except that he rolls his right foot when he walks,” says his wife. Jerry Schemmel, KOA and Rockies radio announcer and United Airlines flight 232 survivor, had a long time dream of one day riding in the Race Across America. This annual ultramarathon, transcontinental bike race starts in Oceanside, California and finishes in Annapolis, Maryland. With competitors from around the globe, it is non-stop from start to finish and covers more than 3000 miles. It is usually completed in a week. In comparison, the world’s most famous bike race, the Tour De France which travels about 2300 miles over three weeks. Jerry approached long time friend Brad Cooper and asked him if he would consider competing in the Race Across America as his teammate. 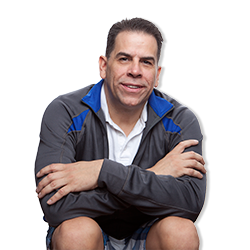 Brad, currently 49 years old was already an endurance athlete, a nationally recognized wellness speaker and CEO of US Corporate Wellness. 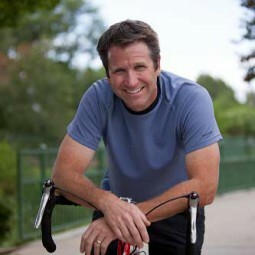 After agreeing to partner with Schemmel, Brad Cooper began six long months of grueling training – riding 25 to 35 hours a week. Just a few weeks now before the big race, Cooper was on a training ride at Chatfield Reservoir when a goose knocked him off his bike. He broke his clavicle and four ribs and also suffered a concussion. He called Dr. Seemann who immediately got in touch with Dr. Rowland. Dr Rowland, having never seen him, but understanding the urgency of the situation agreed to meet him at the Hospital the next day. Brad Cooper underwent surgery to repair his broken clavicle and within a couple days he was back on the bike and returned to full training within a week. He was determined to do the race, even though he would be hurting. “Not optimal, but make the most with what we’ve got,” Cooper said. “I made a commitment, we’ve got a great crew, they’re giving up a lot of time and effort and energy. Jerry’s a great teammate, and I’m looking forward to doing this with him, even though it’s funny — we will probably not talk the whole trip because someone’s always riding. The plan was for Schemmel and Cooper to take turns in the race, covering about 450 miles a day, never stopping. When one was riding, the other would be resting in the RV. During the day, they alternated an hour on, and an hour off. At night they tried to ride three to five hours at a time so the one resting can nap. 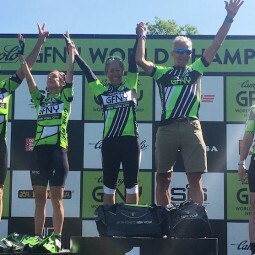 536 people competed and Brad Cooper and Jerry Schemmel won the 2015 Race Across America. Two months later Brad competed in and finished the Ironman triathlon. When Patrick Almdale started to lose distance off the tee, the avid golfer chalked it up to age. But when the 66-year-old Westminster resident could hardly swing his driver — much less reach for the salt shaker at dinner — he knew something was wrong. “I’m not a woe-is-me-er,” Almdale says, noting that after trying to strengthen his arm on his own, he turned to Panorama for surgery. “I had no cartilage left in my shoulder. I was bone on bone,” he says. 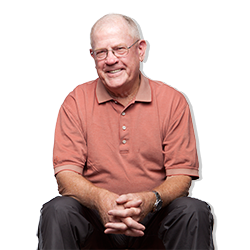 Before and after shoulder replacement surgery by David Schneider, MD, Almdale benefited from a new Panorama program called OrthoPlus. The program coordinates care for patients, starting with presurgery preparation and continuing through surgery and rehabilitation — rather than each of these critical components happening in piecemeal fashion. Almdale says he went into surgery knowing what to expect in terms of pain and armed with tricks to help with everyday activities such as dressing. He felt confident going home the day after surgery. And he describes outpatient rehabilitation as a highlight. “I’ve done PT before. I definitely saw a difference at Panorama. They know who your doctor is; they are familiar with patients and rehabilitation goals. They had access to my chart. 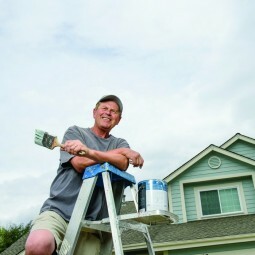 It was all under the same roof — I liked that,” he says. 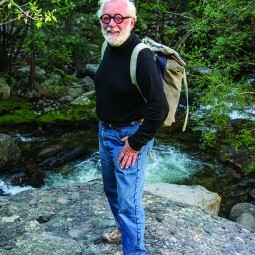 At 74, Lito Tejada-Flores fancies himself a “freelance human being.” The Crestone resident has written “how-to” books on skiing; produced videos on skiing; and taught skiing in the Rockies, the Sierras, and Switzerland. These endeavors have supported his lifelong love for skiing and engaging, as he styles it, in the “impossible romance of sliding over snow.” It’s been one good, long run. Until his back balked. His back problems began 13 years ago when he fell from his home’s roof and suffered a burst fracture of the L3 vertebra. He was flown to Denver, where Panorama surgeon Courtney Brown, MD, fused his L2 through L4 vertebrae. Tejada-Flores maintained his high level of activity for almost 10 years until two conditions — spondylolisthesis and spinal stenosis — started ganging up on him. Spondylolisthesis results when one vertebra “slides” forward over the bone below it. Spinal stenosis is a narrowing of spaces in the spine, which puts pressure on the spinal cord and nerves. An MRI revealed what he feared was true: It was time for a second surgery. He again turned to the Panorama surgical staff. Douglas Wong, MD, removed the instrumentation from his former fusion, added the L5 vertebra to a new L2 through L5 fusion, and repositioned his vertebrae to create enough space to give the nerves room to heal. “When I came back to consciousness, the pain was gone. It’s been gone ever since. Surgery was 100 percent successful,” says Tejada-Flores, who is — not surprisingly — counting days until the snow starts to fall. A physical education teacher for 25 years, 61-year-old Gunnison resident Vicki Wattier spent the last three years of her teaching career sitting on the sidelines while her students ran and played. “I got to the point where my knee was deformed. I had bone spurs and lots of nerve damage,” she says. Wattier was up and walking the day of surgery. 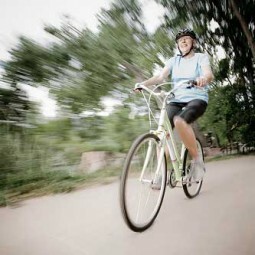 Shortly after her October 2011 knee replacement, she was living life at full tilt again. 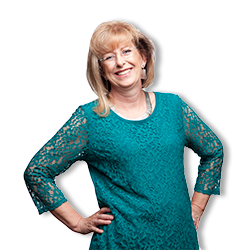 Retired from software technology sales, Betsy Steelman has always been a mover and a shaker. 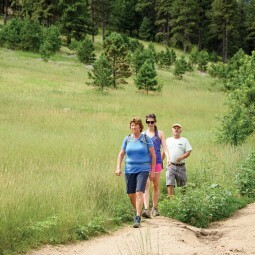 So the 56-year-old Castle Pines resident wasn’t about to let a bum hip tarnish her golden years. “I’m active. My passions are travel, yoga, golf, and my grandson,” Steelman says. Early last year, she began to have pain in her right groin. But, as is often the case, her “groin” pain was actually radiating from her hip. She researched her options — getting second and third opinions — and finally settled on total hip replacement with Panorama Orthopedics & Spine Center, where William Peace, MD, specializes in an anterior, or “front,” approach to the surgery. “It’s less invasive, there’s far less blood loss, recovery time is quicker, and you don’t have nearly the amount of restrictions in how you can move following surgery,” Steelman says. Steelman is so serious about her golf game that she scheduled surgery for December, when her clubs would be collecting dust anyway. “Instantly there was no pain,” she says. “It was amazing.” By the end of January, she played 18 holes of golf. By the end of February, she was back to yoga — totally unafraid to try poses that required putting her body weight on her right leg. “Looking back, I realize that pain limited everything. By choosing surgery, I was choosing my lifestyle,” she says. 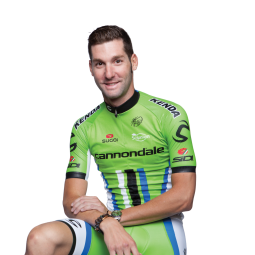 Fabio Sabatini is a professional cyclist who rides for Team Cannondale. He’s been racing professionally since 2006 and is considered to be one of the fastest sprinters in the world. An accident during the US Pro Cycling Challenge left Fabio wondering if he’d ever be able to return to cycling again. He was in Steamboat Springs racing when a serious crash shattered the vertebrae in his back. Local doctors in the Yampa Valley told him he needed to see Dr. Agarwala, an expert spine surgeon at Panorama Orthopedics and Spine Center in Denver. He was sent via helicopter on Flight for Life to St Anthony’s Hospital where Dr. Agarwala attended to him. “Fabio suffered a thoracic burst fracture, says Dr. Agarwala. “This is a common and severe spinal fracture from a high energy fall or crash. While some burst fractures can be treated without surgery, the injury Fabio suffered was more unstable and thus surgery was required to provide good stability, correction of deformity, and protect his spinal cord from paralysis. We placed screws and rods spanning his broken vertebrae in a three hour operation that went smoothly. Fabio recovered very well while in Colorado and then returned to Italy. I continued to give instructions through email and was thrilled to hear that he returned to cycling within 3-4 months after his crash. When we heard he would be competing in the Tour de France that summer, I knew his recovery had been truly successful,” added Dr. Agarwala. “My experience with Dr. Agarwala was very good and I believe that it was only because of him and the care he provided that I was able to return to racing so quickly,” said Fabio. “My surgery was in August. I was training again by November and was back to professional racing by February. The Tour of Flanders and Paris Roubaix are two very important races that take place in the spring of each year – both are on the cobblestones in Europe and are very rough. “I was thrilled to be able to ride in both races and surprised that every part of my body hurt – except my back,” Fabio commented. In fact, Fabio’s recovery was so good that he was in optimal shape and able to ride in the Tour de France, a race he has finished four times, by July. In having this surgery, he knew he would need to have another surgery, in a year, to remove the hardware once everything was healed. Having grown up in Pistioia, Italy, Fabio currently lives in Monaco. “There was never a question that I would return to Dr. Agarwala to have another surgery. I was fearful if I stayed in Italy for surgery that the outcome would not have been as good – I trust Dr Agarwala and only Dr. Agarwala,” he said. “St Anthony’s Hospital was also exceptional,” he said. “After my experience here, I was not afraid to have surgery again,” he added. In his three days in the hospital Fabio got to know the staff and nurses. Many he knew personally, some who even went to the extent of checking on him throughout the year. They all remembered him when he came back for his second surgery a year later. When she tore her ACL preparing for a match, her chiropractor referred her to Dr. David Schneider at Panorama Orthopedics. After an MRI, Dr. Schneider and Melissa discussed not only the need for surgery but also why a cadaver graft — instead of her own tendon or hamstring — would work best for her individual situation. “One of the greatest things about Dr. Schneider is he knew my sport and was able to ask me what my strengths were as an athlete,” Melissa said. “I’m a big kicker, and he explained everything to me in terms I could understand in regard to my sport.” Melissa’s surgery was at OrthoColorado Hospital, Denver’s first orthopedic specialty hospital, where all the staff have specialized training in orthopedics. “I was really scared going into it because I’d never had surgery before and didn’t know what to expect,” she said. Matt Boyd had just taken up motorcycling when a fractured wrist stopped him in his tracks. While participating in a training course, he had an accident Superman style, right over the top of his bike’s handlebars. He fractured a bone at the base of his thumb, displaced others and tore several ligaments in his right hand. “After the accident, everything I used to do without even thinking became a challenge,” Matt said. “I couldn’t write; it was painfully slow to type. It was even hard to get dressed in the morning. I spent the whole summer not being able to ride my new motorcycle or play softball or golf. ” Matt, 32, is newly married. His wife was with him at the time of the accident and later for his surgery with Panorama’s Dr. Sameer Lodha. 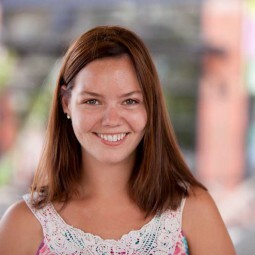 Cara Campos isn’t your typical carefree college student. At the age of 20, she is a survivor. Cara was in a fatal car accident on her way to a wedding. The car she was riding in was t-boned by a semi, and she was on the side of impact. She suffered brain hemorrhaging, a shattered pelvis, fractured ribs and clavicle, a broken nose and bruised lungs. Now that she is recovering, Cara has a greater appreciation for the everyday things that she can do, like showering and using the restroom without help or standing in the kitchen to make meal. She also started jogging, the first step in a new goal — to run a marathon. Amanda received corrective surgery at Panorama after Dr. Roger Murken explained that he could help reposition her foot to make it easier for her to walk and balance. “I call it a surgery of a lifetime because I couldn’t do half of the things before that I am able to do now,” Amanda says. 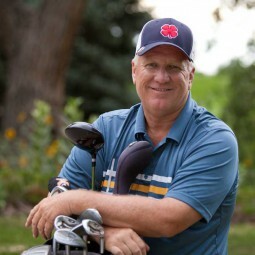 After Bob Ochse had hip replacement surgery with Dr. Nimesh Patel, he felt so good he decided to retire. Before his surgery, even the simplest of activities — like tying the laces on his shoes, getting dressed and climbing stairs — were difficult and painful. “I had to learn a different way to put my left shoe on because I couldn’t cross my legs so I had to stretch my leg out on a chair,” he said. 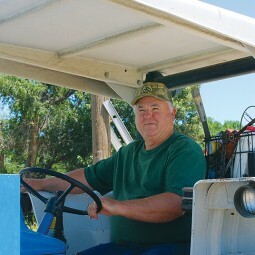 “I was unable to walk the golf course so I rode in golf carts. My hip would be uncomfortable for days after any physical activity.” Working was also painful. Bob’s job selling medical equipment required him to spend hours in the car each day. “Just trying to find a comfortable spot sitting in the car was a challenge and so was sleeping if I got in the wrong position,” he remembers. On top of that, Bob said he didn’t get enough exercise so his weight continued to go up, which made his hip worse. Brian Lambert has always lived life to the fullest, which is why it was a struggle when back pain forced him to limit his activities. “I consider myself a weekend warrior. I love to bike, hike, snowboard and ski,” Brian said. “I was at 110 percent, and going down to zero was a real struggle for me — not just physically, but also for my mental state. 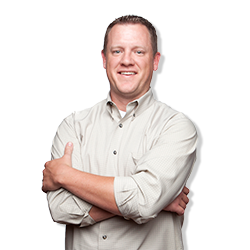 After talking it over with his physician, Dr. Loutzenhiser at Panorama Orthopedics, Brian decided to first pursue conservative treatments. About a year later, the two discussed minimally invasive spinal fusion, which utilizes microscopic instruments to reduce muscle and tissue disruption. “Dr. Loutzenhiser was very forward about the fact that surgery should be a last resort,” Brian remembers. “I did get a second opinion, but I didn’t get the same comfort level as I had with Dr. Loutzenhiser. He was really good with understanding who I was, what I wanted to do and why this surgery was the right thing for me.” Even though Brian wishes he hadn’t needed the surgery, he’s happy with his decision. 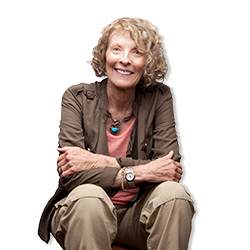 Lynne was surprised to find how calm she was going into her hip replacement surgery, and credits Dr. Foran for making her feel comfortable with the process. “The day of the surgery, I was anxious and he put me at ease with his demeanor and understanding,” she recalled.